Do you know what the top five Europe destinations are in 2014? ~~Ireland – For many Canadians, a trip to Ireland ranks high on the bucket list. Its natural beauty, fascinating history, traditional music, picturesque villages and friendly people continue to entice travelers to cross the pond. Take on a Celtic adventure exploring the unique cultures of Scotland, Wales and Ireland, visit the location from which the Titanic sailed its only voyage, explore the lively city of Galway, play golf, take a tour of Old Bushmills Whiskey Distillery, stay in a castle and more! Not to mention the rich ancestry is perfect for a multigenerational family researching their Irish heritage and roots. 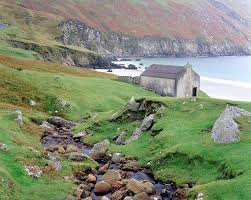 From history, art, nature and jovial pubs, Ireland is a country warmly inviting travelers to visit and create memories. Plan your United Kingdom trip now, there are many options to chose from, Ireland, Scotland, Wales and England. First class tours, driving holidays and city stays...castles manors and much more!